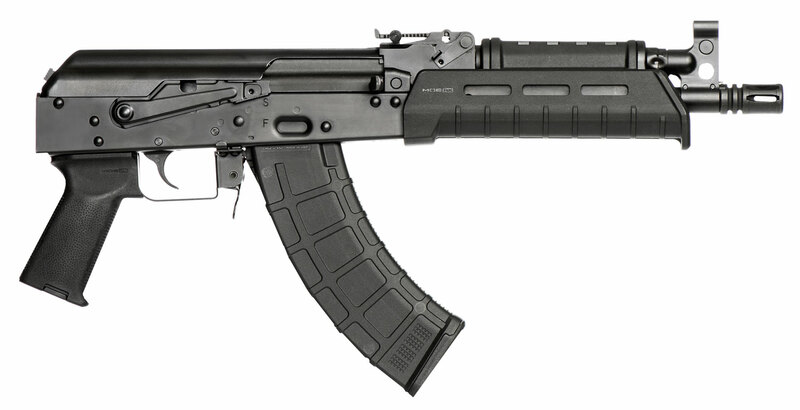 This Red Army Standard AK Pistol is 100 percent American made. It features a concentric LH 14x1 metric thread barrel that is ready for a variety of muzzle attachments and is constructed from 4150 Chrome moly with a nitride finish. The receiver is a 1/16" stamped 4140 steel nitride treated with a AK side scope rail mount to offer a return to zero capability also. Included is standard AKM sights, bolt hold-open notch on the safety selector, front sight gas block and bird cage style flash hider, and QD attachment points on rear of the receiver.